IgA nephropathy is the most common cause of glomerulonephritis in the Western world and predominantly affects young adults. Demographically these patients are the biggest users of social media. With increasing numbers of patients turning to social media to seek information and support in dealing with their disease, analysis of social media streams is an attractive modern strategy for understanding and responding to unmet patient need. 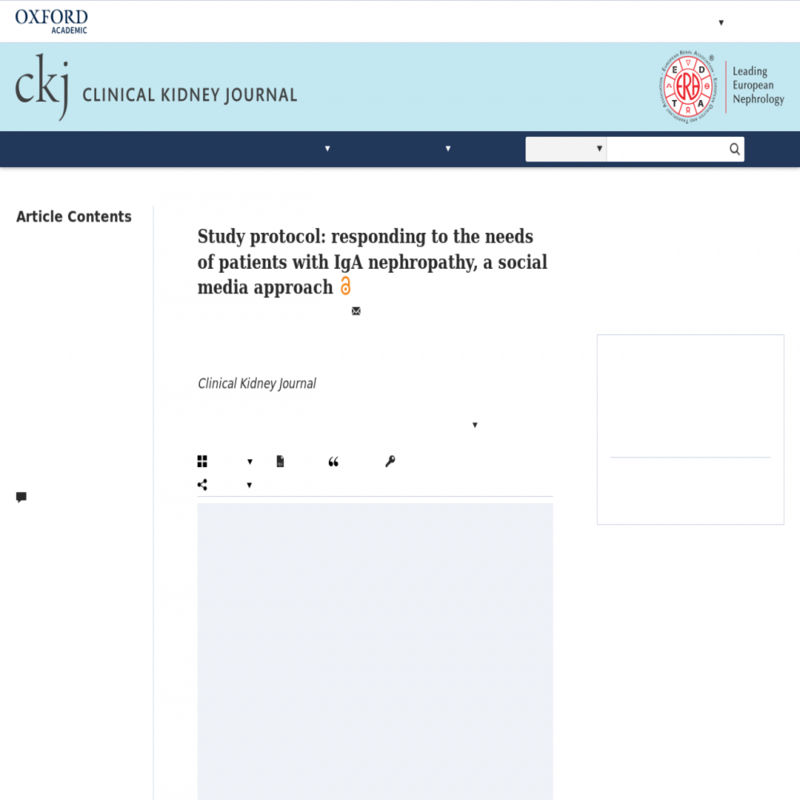 To identify unmet patient need in this population, a framework analysis will be undertaken of prospectively acquired social media posts from patients with IgA nephropathy, acquired from a range of different social media platforms. In collaboration with patients and members of the clinical multidisciplinary team, resources will be created to bridge gaps in patient knowledge and education identified through social media analysis and returned to patients via social media channels and bespoke websites. Analysis of the impact of these resources will be undertaken with further social media analysis, surveys and focus groups. Patients with chronic diseases are increasingly using social networking channels to connect with others with similar diseases and to search for information to help them understand their condition. This project is a 21st century digital solution to understanding patient need and developing resources in partnership with patients, and has wide applicability as a future model for understanding patient needs in a variety of conditions.